meeting people within the blogging community is definitely one of my all time favourite bits of being a blogger. i've been lucky enough over the past month or so to venture around the country with blogging bits and that has allowed me to meet bloggers who i've been dying to finally meet up with after talking to them online for so long! unfortunately i still haven't had the opportunity meet tilly yet; second photo, but hopefully i'll be meeting her and grace (who is also a blogger i've been loving) sooner rather than later! damn you expensive train fares to london. 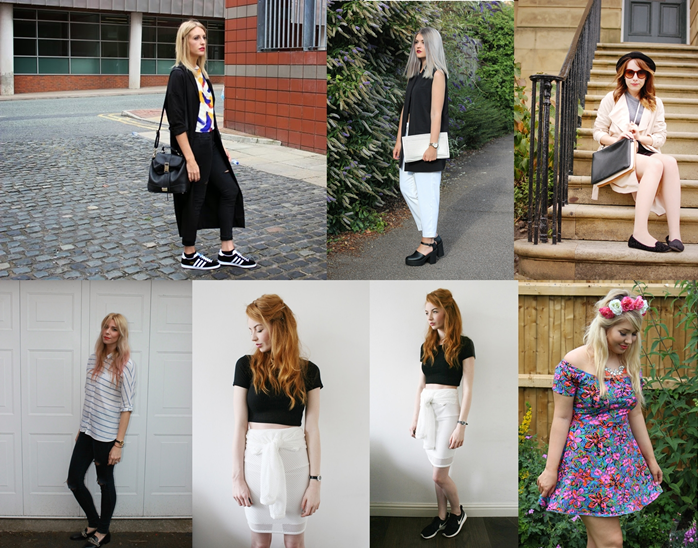 anyway they are all total babes and i hope you love there blogs and them as much as i do! i definitely need to meet up with all of them again soon! please check them out and give 'em some love. Charissa you are such a babe! A London date with me, you and Grace definitely needs to happen sometime! Damn pricey transport!! Aww Charissa, you da best! Amazing to be put alongside so many of my favourites, it means the world! I can't wait to take more photographs and drink a ridiculous amount of tea on Thursday! I love posts like this, so good for allowing your readings to discover more amazing blogs!